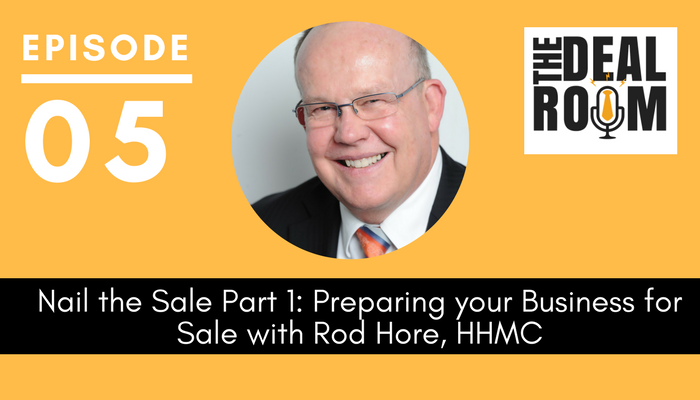 In this episode Rod Hore of HHMC joins us as we talk about preparing small service businesses for sale. We talk about challenges in selling, options available, deal structure and a number of other top issues to consider when gearing up for a successful sale transaction. Today we’re kicking off the start of a two-part interview series that’s focused on preparing businesses for sale. In part one, today, we’ll be talking about preparing smaller companies for sale in the service industry. In part two, we’ll cover off the often different approaches required for mid-market service businesses in preparing for a sale. And if you deal with businesses that aren’t related to the service industry, have no fear! 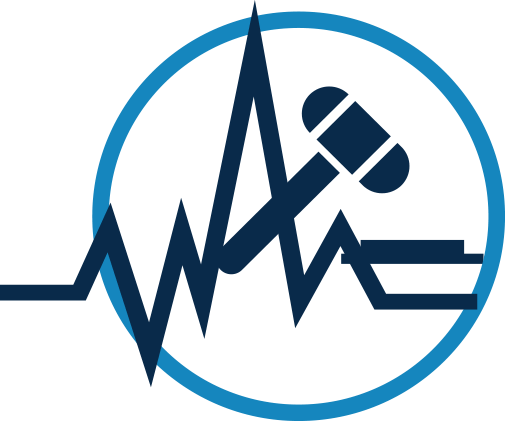 In future podcast episodes we’ll be covering issues relating specifically to those. But the next couple of podcasts are about service businesses in particular. So today we have an expert on board to guide us through this topic, Rod Hore from HHMC Global. Joanna: Rod founded HHMC in 1999. That’s more than one and a half decades of experience in the HHMC business and sales and acquisitions. So over that time he’s specialised in recruitment sales and acquisitions but he’s also had a long history across various service industries. I’ve worked beside Rod and Richard at HHMC for many years now in many sale and acquisition transactions. And look, they really know their stuff. 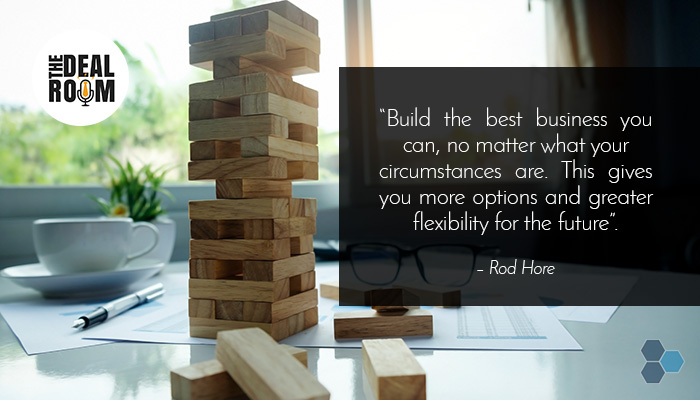 I’ve always been impressed by their approach so it was an obvious aim to get Rod to join us on The Deal Room to talk about preparing businesses for sale. Who better to get on board to speak about preparing a business for sale than the people who see the coal face of the sale environment. So here we go! So Rod, tell me a bit about your experience in the sales and acquisitions area. Rod: Thanks Joanna, and very pleased to be here. Our experience within HHMC, yeah it does go back to 1999 now. And while we do focus on the recruitment industry, which is one of the genuine service industries across Australia, the background and the things that we’ve learnt over the period have been equally applicable to other service industries, so working within the IT services environment or within financial planning or other service industries like that. And because we specialise in mergers and acquisitions and providing some strategic advice, you naturally come across a lot of smaller organisations and work with owners of smaller organisations in terms of them trying to achieve their goals. And sometimes on the buyer side we’re working with the very largest organisations in the world and the largest companies across Australia as well. So we get quite a variety and diversity in the projects that we work upon. Joanna: And I guess the reality is smaller businesses may also be selling into larger organisations as well. I guess that’s where it becomes really useful for smaller businesses also to deal with people who understand dealing with larger businesses because it’s not always smaller businesses that are purchasing smaller businesses. Rod: That’s right. They have to sometimes meet the expectations of very large companies and large companies become quite frustrated and to be honest can just walk away if a smaller company is not acting in a manner that it expects. And so the way you prepare financials for example, there’s a certain expectation depending on the size of the person sitting on the other side of the table. And you have to meet their expectations. 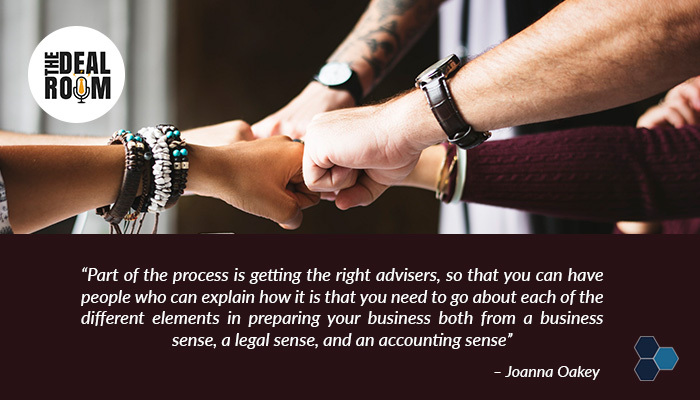 Joanna: And I imagine often that could be difficult for a small business owner in a sale process in terms of understanding what it is, if they’re dealing with a larger buyer. Understanding the way that the larger buyer is thinking and approaching the purchase, which I presume is quite different to how a smaller business deals generally internally in their own business areas. Rod: That’s true. And one of the challenges that we have sometimes in working with smaller business owners is that the trusted advisers such as their external accountant or maybe their external legal firm have helped them to run their business in the manner that it is being run now but are not necessarily the appropriate partners for another activity such as preparing them for a larger transaction or for a transaction with a larger company. And so sometimes you’ve actually just got to go and get different advice depending on who you’re dealing with. Joanna: Yeah, yeah absolutely. That’s absolutely what we see as well. Let’s step back a bit and start with who we’re actually talking about here. So what small businesses are in your targets today in terms of who are we talking about as for our SMEs or our smaller businesses? Rod: Yeah that’s a very hard decision. When you read books especially if they come from the United States, they tend to talk about smaller businesses being something that would be considered to be a large business in Australia. So there are many definitions and we have to almost create our own for the circumstances of what we deal with. In this instance, I’m really talking about businesses that are less than say a million dollars profit before tax. That sounds quite large. But I think that we’re talking about organisations that have got relatively few people in them and they might be considered lifestyle businesses, if those businesses are run for their own purposes or for the purposes of the shareholders. And they’re not necessarily making strategic decisions but making decisions that are relevant to the goals of the shareholders. Or they might be smaller owner-dominant businesses and that’s the definition we use for organisations that are strategically trying very hard to grow and build a better business, but the owner is still very critical to the outcomes of the business. So when you’ve got an organisation that’s less than a million dollars profit before tax, you tend to have one of those two characteristics, either the lifestyle or smaller owner-dominant. Joanna: Okay. All right. Great. And so then what do you see as the characteristics of these businesses as defined, I guess as separated from the larger businesses? Rod: Yeah. Well the defining, the really important characteristic there is that the shareholders are very very important. And so, the distinction between, I suppose the executive activities of the people in the business and the role of the board, and the role of the shareholders become blurred. And those three things tend to be all sitting under one hat if you like and rather than as three separate activities. And the owner goals, personal wishes of the owner, tends to be very important in terms of the culture and the strategy and the outcomes of the business. Joanna: Yeah. So what do you do in working with businesses of this smaller size in preparing their business for sale? Rod: We have a lot of cups of coffee with owners of small businesses and so sometimes we, our role is to, I suppose correct some misconceptions out in the marketplace. And one of the things that we’ve sometimes surprised business owners with, is that we say, stop concentrating on preparing your business for sale, because that sounds a little counterproductive to other things that we might say. What we’re doing in saying that, is that if you’ve got a sole focus of saying I’m going to sell my business in three years or something like that, then that can be counterproductive. What you’ve really got to do is build the best business you can, no matter what your circumstances are. And that’s because it’s very difficult to predict the future. It’s very difficult to predict what your personal health might be, what your personal circumstances might be, or what the economic conditions might be either for the country as a whole or for your particular industry. And so, concentrating instead on building the best business you can, gives you more options and greater flexibility for the future. And building the best business you can, also gives you the best chance of actually getting a great outcome, if you do decide to sell your business. 1. You can sell it if you want to. 3. You can step back a little bit. So if you’ve built the business to where you’ve got a second level of management for example, you can step back a little bit and allow your trusted management team to take some responsibility. So it’s just three choices. Joanna: One of the things I see in smaller sized businesses is quite often the owners get really involved constantly in the running of the business obviously rather than you know stepping back and seeing the business from afar. And often I see that as something that can really impact a potential sale. If business owners haven’t really thought about that from the outset as well – so I totally take your point about not having a strategy simply on preparing for sale and ensuring it’s a great business but I think there’s also another element to add there, How is it that you can build that business so it is something, at some stage, that is a saleable asset because you know there’s differences aren’t there between business owners that are fully integrated into a business vs. business owners that have been able to set up the business so that they’ve structured it in a way that it can hand over quite easily to a new buyer coming in. Rod: Yeah. And look and that’s a really important point because I think not enough small business owners make a conscious decision about how they’re actually operating in the manner you just described. And so it comes as a surprise to them when they come and get some external advice about the value of their business and they may be very disappointed. And that’s because they’ve made a strategic decision some years ago, that they didn’t realise was a strategic decision. And the choice about building a job. In other words, they’ve been building a lifestyle business, having yourself as the key person in the business, not striving to change that circumstance. But accepting that and working with it is actually a valid choice. But it has implications and it has implications in terms of what you might get as an equity value later down the track. So we talk about conscious choices quite often. Joanna: Yeah I think that’s a great point. It’s about making those decisions consciously. And I guess you know maybe that is also, it does partly require a business owner to have some sort of concept of when they might be considering a sale because it might well be the case that, it’s appropriate for them to have a lifestyle business for a period of time. But then to you know pivot the business at some point when they’ve decided that a sale is in their sights and start setting the business up into something that’s more salable. Rod: Yeah that’s true. 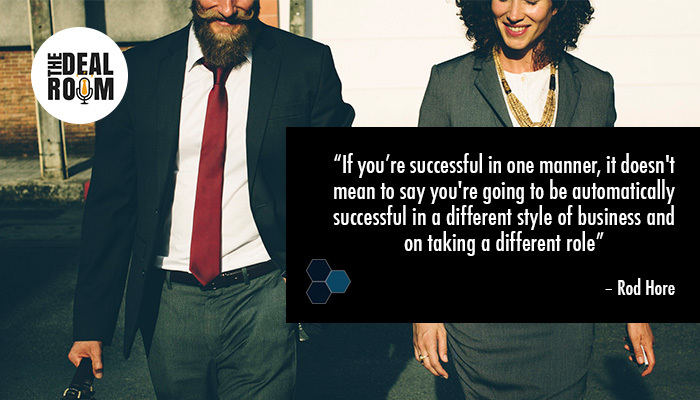 And that can be quite risky of course because if you’re successful in one manner, it doesn’t mean to say you’re going to be automatically successful in a different style of business and taking a different role. But yes, those who execute and probably create the most wealth out of the industry that they’re working in sometimes are people who’ve done exactly that, where they’ve built themselves a lifestyle business and enjoy the benefits of that and then done that pivot at some point where they say right now we’re going to create a business which has got equity value and put energy into that for a period of time and then sell the business. Joanna: And I’m sure you must have many instances of people coming to you sort of not understanding these elements in advance enough and sort of then being quite surprised at what the true market value of their business is, because they are so fully ingrained in the business. Rod: Yeah. And we are sometimes the bearer of bad news in terms of how a business is structured and what an earnest perception of the business value might be compared to what we believe based on what we do in the marketplace. And the more that we can put our blogs out there and do podcasts like this and assist people to get some understanding of the choices they’ve got in front of them, I think the better those business owners will be in terms of setting themselves up. Joanna: Absolutely. OK, well look, let’s have a quick chat here then about the sorts of definitions or terms that we use in this environment business owners may not have come across before. So what are some terms that are used in this environment that are useful for people to understand the meaning of? Rod: Certainly, and one of them is that there are many definitions of profit and you know there’s plenty of jokes about accountants and the way they sometimes can describe numbers in any way that you want them to be. We talk about normalised profit before tax and why we talk about normalised profit before tax for smaller businesses. We are looking to make sure that the accounts are structured and structured really clearly and all expenses are in the PNL. And that includes owner salaries. So for example, a common situation is where an owner might pay themselves as dividends out of the company and that might be tax effective for them. But in terms of understanding the true position of the company, we need to have a market-based salary in that PNL so that we can understand what the genuine profit before tax is. And we also need that all non-company expenses to be out of PNL. So there are many valid things you can do when you’re running a small business that are tax effective and can help you. But in terms of getting a really clear picture of that business, we need to have all of that cleaned up a little bit. It doesn’t mean to say they need to be taken out. It’s just that they need to be identified very clearly so that a true position of the company’s profit can be identified. Joanna: And what are some examples you’ve seen before of that? Have you seen many examples in the past of some classic areas that have needed cleaning up or classic expenses that need to be pulled out? Rod: Well in smaller services businesses the number one expense is salaries. And so you know the first thing we dive towards usually is to make sure that the owners’ salaries are in there and they’re in there at an appropriate level. So not over-inflated not under-inflated but in there. And secondly, that non-contributing staff members, maybe his family members are quite often drawing salaries out of the business and they need to be clearly identified and clearly understood. And then there’s just a lot of non-business expenses so there might be excessive travel in there or there might be other things that are in there and we just need to really understand them. Not to the last dollar and cent, making sure that the big items are understood. And that would be probably the first shock for a person because what they put on their tax return or what they see on their monthly PNL is different to the number that we might come up with. Joanna: Yeah. Right. I see. OK. Great. Rod: Well I’ve just got a couple of others. I mean there’s two others: working capital is really important because working capital is required to run the business to pay the bills to cover the cash flow and so on. Because quite often when we’re dealing with a transaction it is assumed that the selling organisation will leave the minimum working capital requirements in the business. And that’s not something that a small business owner often thinks about. And so quite often there is a job or work to be done during the sale process to actually identify what that number is. So working capital becomes very important during this sale process. It can make a massive difference to the cash that an owner receives when they sell their business. If they’ve got to leave a lot of money in their business, that’s difficult. If they can take money out, that’s great. And usually that’s not very clearly understood to smaller businesses. Joanna: And so what are some sort of examples you’ve seen in this sort of area? Are there any horror stories of businesses you’ve dealt with that have had shocks in this area? Rod: One from this year, is that we’ve been working with an organisation that is a successful growing business. And when it came to doing a really good work through the PNL, balance sheet, and cash flow to identify the working capital and be able to identify the settlement price, we found there was a cash flow hole in the business and the company would have run into serious financial trouble in two or three months time. And that’s just because the business had probably grown a little bit beyond the way, that they were calculating those things and looking after their cash flow requirements and they hadn’t identified a timing problem with cash a couple of months down the track. So that caused a massive change in the way that the negotiation was being undertaken and some extra work had to be done. And so, we do want to talk about this a bit later, but getting your financials in order and probably to a level of sophistication that is beyond what you think you need today, is actually very good advice. Joanna: Absolutely. Great. Okay. And any other definitions that come up? Rod: Yeah, just a final one. People talk about things like multiple of profit as being what their value is. But they quite often don’t talk about the deal structure. So this series is called The Deal Room, we’ll talk about deal structure because the deal structure is about the negotiated risk and reward between both parties. Put it simply, if you want as a seller all your money upfront and walk away from the business, you’ll receive a lot less. Whereas if you’re prepared to put a structure in place where you accept an earn out and stay and help transition the business, then you’ll receive a lot more. And so that’s all about risk and reward. If you put some risk on the table, you get more. If you take the risk off the table, you get less. And deal structure is really important to understand and to try and compare different transactions you might have heard about. Joanna: And I often find SMEs and small businesses quite often are very concerned about the whole word “earn outs”. And rightly in some situations because of course, that can introduce a bit of complexity but I guess the one area that’s important to understand is that there’s always trade-offs aren’t there? And that earn outs can bring the opportunity for them to derive the value that they actually think their business is worth. Whereas deals without earn outs, as you say, sometimes you’re talking about then, a change in the sale value or the sale price. Rod: Yes, that’s right. And look different sectors within the broader services industries have a different approach for these things. But earn outs are very common and you shouldn’t assume that as a selling organisation or as a selling owner that you can walk away on day one. You should assume that there is some period where you’ve got to stay and assist with clients, with revenue generation and so on. Joanna: Absolutely. All right, good. So then I guess let’s get into the nitty gritty here. What should businesses be looking at doing if they are considering a sale in the next ? And I guess here we have to be clear, these are things that you probably need to be doing well in advance. So if you want to sell a business, I think you need to at least have your mindset there at least a few years before sale but what, what are the mechanics that a business owner should do when they’re in that process of getting geared up for a sale? Rod: And look that’s a really good point you raise that we sometimes joke about, but it’s not much of a joke, it’s sometimes true that it takes five years to sell a business. A couple of years to get ready, you know allow yourself a year to do the transaction and be prepared for an earn out that might take up to a couple of years. And very quickly come up with five years. So you know don’t reach the age of 65 and say I’m gonna sell my business because you might not have left yourself enough time to maximise what you’re trying to achieve. Rod: We talked a little bit about building the best business you can. And so, having a strategy and executing that, creating options for yourself, and understanding and getting enough advice to understand the consequences of your decisions, are really key things in this period. And if I can talk about four points. The first one I want to talk about is personal plan and because we’re talking about smaller businesses, because we’re talking about the shareholders of those businesses being critical to the way the business runs and very important in their culture and the outcomes of the business, then you can’t separate the business from the personal goals of their shareholders. And so the owners of the business really need to understand clearly and be able to articulate why they’re going to sell, what those owners are going to do next, and what the future opportunities for those owners are. We actually talk more people out of selling than we take on as clients. Rod: A lot of people come to us and maybe they’re a little burnt out or maybe they’re a little frustrated with the industry or they’ve just lost a major client or some key staff have left or something and they talk to us about selling the business but they don’t really have a plan for what they’re going to do in the future. And so we look in to say this may be the best opportunity for you and for your family and for your wealth creation to continue on with what you’re doing today so don’t sell. So sometimes adjusting and holding the business is the best option. And if you can’t articulate your reason for selling, you may also not have the courage to sign the sale contract when you get to the end of the process. Rod: You may have a little bit of seller’s remorse. So be very clear about what you’re doing and why you’re doing it. So that’s the first thing. Your personal plan is really really important to the whole activity. And that will come through when you’re having to describe yourself to potential acquirers as well. Joanna: Ok, and what’s number two. Rod: Number two is about getting clean financials. So we’ve just touched on this before. But getting your PNL, your balance sheet, and your cash flow in order and able to be tested and able to be reviewed is really important. Most small businesses only concentrate on the profit and loss statement and sometimes they don’t do that so well. They might have some rudimentary cash flow requirements in there. But at this point you really need some external advice to be able to build those three documents – your PNL, your balance sheet, and your cash flow as a working, living, breathing model so that you can test it and you can run scenarios. And at that point of course, I’ll just repeat that you do need to be prepared to remove the non-business items out of the business so that it’s as clean as possible. So it’s clean and robust and you understand it in a lot of detail. Joanna: And it’s often this financials area where things can become a bit tricky right? Because I guess in terms of process usually the financials are handed over when we have generally agreed on general commercial terms and you’re letting someone delve into the depth and the financials as part of their due diligence process, right? And if that happens at that point and someone finds that the information that you’ve been giving about your business doesn’t accord with the financials that you’ve been handing over, it can have really big impacts on either causing the deal to fall over or impacting a renegotiation of the sale price or those sorts of things. Is that what you seem to face as one of the risks? Rod: Well I think business owners need to understand that this is a sale process and so therefore in any sale process you’re trying to make an opening statement and then build confidence from that point on. And the point you make in your opening statement about selling your business, you are going to tell people your profit. And if that number then changes, you’re destroying confidence in the sale process. And so you’ve got to do the work ahead of time, and you’ve got to be absolutely certain of your numbers and that includes your forecast and your budgeting and everything else. You’ve got to be able to be certain about that so that you can build confidence that you know what you’re doing and you’re in control of your business. And so coming back and saying, actually we told you this was our profit but we’ve identified a couple of extra things in our profit, it’s not that at all – that can destroy confidence and make owners go down the street and talk to someone else. Joanna: And I guess it’s also about having strong advisers at that point that communicate if sometimes there can be differences in approaches to financial concepts. And it might just be that your financials are built in a certain way that a potential buyer has a different approach to. But if your advisers can strongly pass over the message of why the financials are built around the myth that they have been, that can save the deal. Right? Rod: It can. And what you want, in a perfect transaction, you present some very brief high level information. And then as the process continues you’re just building on the depth of that information. You’re not actually changing it. And so if you do the work upfront and if you get those, those numbers right and if you get a process in place that allows different assumptions to be tested and different business models to be attested and so on, then you can build a lot of confidence in the sale process and obviously get a better outcome. Joanna: Absolutely. Great. Okay. All right now what’s number three in your getting ready for sale plan? Rod: Number three sounds really strange – I say know your business intimately. And it is surprising how many business owners of small to medium businesses can’t have a conversation about the internals of their business. So if I could use a couple of recruitment company examples, the performance and productivity of your services business should be intimately understood by the owners. How are you performing? What is your time to fill jobs at a ratio? What’s your average permanent placement fee? What’s your – there’s a hundred statistics you should have in your head about how to be able to talk about your business. First of all to show that you know your business and secondly to show that you’re in control of your business and are running that efficiently and so on. And so performance productivity, your staff capability, your client, your mix of clients, how sticky your clients are, your forecast, your budget, how strong you are about your budgeting process, and how accurate your forecasting is – all of those things are really important. One way to look at that is to actually get external benchmarking and make sure that you’re actually testing your assumptions. And if you say we’re the best at what we do but benchmarking shows that you are not, then you just look at a little bit silly. Joanna: Yeah absolutely. And so I guess each of these, in each of these areas it still comes back to ensuring that you’re preparing correctly for sale. But part of that process is getting the right advisers on board early, isn’t it? So that you can have people who can explain how it is that you need to go about each of these four different elements in preparing your business both from a business sense, a legal sense, and an accounting sense so that you can underpin the value that you’re trying to get from the sale of your business as well as withstand the due diligence process that doesn’t erode confidence between the parties as you say. Rod: Yeah, look, and that is my fourth point and I’ll answer it under my fourth point by saying that, my fourth point is really to test your assumptions. We can tell when we walk into an organisation and start talking to a business owner whether they are insular or not. And what I mean by that is that if the business owner doesn’t participate in their industry, or doesn’t seek external advice. Maybe the only person they ever talk to is their suburban accountant for tax purposes and so on. We can tell, because they are just not aware and their assumptions have not been tested. Rod: So you’ve quite rightly talked about talking to advisers but there are other things. And I’ve mentioned benchmarking already. It is such a simple thing to do to actually benchmark your business and know where you stand. And if you’re the best in your business tell people and run your business accordingly. If you’ve got a bit of improvement to do, go and work on those improvements. But it’s also other things like attending conferences, understanding what’s going on internationally, not just in Australia because Australia does lag the rest of the world in many areas. Read intensely, not only management books and so on but read about your industry and read blogs from people who talk about your industry. And part of the assumptions is you’ve also got to ignore and learn what to ignore because a lot of pub talk and press releases are just terrible for the industry and terrible for you to base your planning upon. Joanna: Yeah. So it’s getting the right advisers, getting them early, and having a broad, broad focus I guess. And as you rightly say, I think that’s a good point you make about an international understanding because I’d say many business owners come in without even considering an international understanding. But the point of that is, that quite often there might be the potential for an international-based buyer, right? So if that’s going to be the case, you have to understand as a business owner where your business fits from a global perspective. Rod: That’s true and if you’re a really small business then the chance of an international company buying you is less because if it’s an international company it’s quite large and the trouble for them to go through to do a small business is just not worth it sometimes, especially if it’s a long way away from their home base. There are more benefits of understanding what’s going on internationally. So again if I could use a recruitment industry example I think it’s quite clear how large companies will be doing their recruitment in Australia in the next three to five years because it’s already happening in America. And if you go to conferences in America and you see how corporate organisations run their recruitment processes, then you know that that will filter down to the larger companies in Australia. So if you’re a small business and you’ve got some large companies as clients, then that’s going to change and you should prepare your business for that. So international exposure is sometimes about picking up the trends and trying to extrapolate that to what is going to impact you today and tomorrow. 1. Getting together a personal plan, working out what their personal plan is, and how that fits with the potential sale. 2. Cleaning up their financials. 3. Knowing their business intimately. 4. And testing their assumptions. I think they’re the four areas we talked about and I think adding to that, getting the right advisors who understand the process you’re about to go through early on in the piece so that you can help create the right situation for this sale. Rod: Yeah look, and then we are disappointed for owners when they have drifted along and not made conscious decisions and that comes back and impacts them a little bit later in life. And you know it’s sort of missed opportunities that they’ve had and that’s one of the reasons we write some of the blogs we do. And so we’ve expanded on these topics in some of the blogs that are on our website. Joanna: Great. And so that’s over at HHMC Global. So that’s hhmc.com.au is that right Rod? Rod: That’s correct. Thank you. Joanna: Excellent. Wonderful. Good, well look, thanks a lot for coming in! We will be back for another session talking about part two – Planning a business for sale as a medium-sized business. Joanna: And so we’ll talk about some areas that are more specific to medium-sized businesses in part two. Wonderful, thanks for today and we’ll talk very soon Rod! So that was part one of talking about preparing smaller companies for sale in the service industry. If you’d like more information about this topic, head over to our website at thedealroompodcast.com. Through that website you’ll be able to download the transcript of this podcast episode if you want to read it through in more detail. And there you’ll also find details of how to contact Rod Hore or HHMC Global if you have a recruitment business and would like assistance with preparing for a sale. You’ll also find details of how to contact our lawyers at Aspect Legal if you’d like help with preparing your business for sale from a legal perspective. And finally, if you enjoyed what you heard today please pop over to iTunes and leave us a review or send this episode along to anyone else who might like to hear these tips. Thanks again! This has been Joanna Oakey and The Deal Room podcast.